The next time you find yourself in either McDonald’s or Jollibee in the Philippines, observe the orders of the ones ahead of you in the line. There’s a high chance that their order will not be what McDonald’s or Jollibee has been known for when they started (in this case, burgers). Their most probable order will be a piece of fried chicken with rice (in some instances, with extra rice! Filipinos can’t live without rice). Now, there is no shortage of good fried chicken around, but the convenience and strategic locations of these two fast food chains makes them top of mind. So a good sit-down with a hearty chicken is instant comfort. In the event that rice feels too heavy, their genius marketing minds have come up with chicken fillet in buns! McDonald’s has been doing this for years with their McChicken Sandwich. 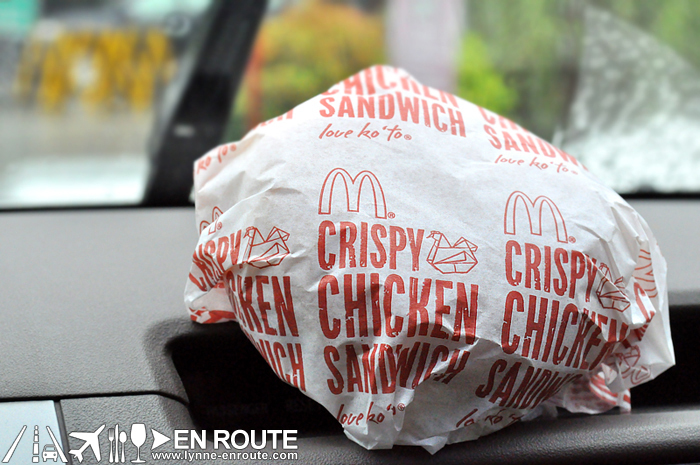 However they introduced a smaller version with a different character of its own: The Crispy Chicken Sandwich. For PHP 50.00, you can get it with a small soft drink, and a nice drawing of an origami chicken in the wrapper (Maybe you can turn the wrapper into such. We just need instructions on how.) It actually makes a good merienda or a light lunch. 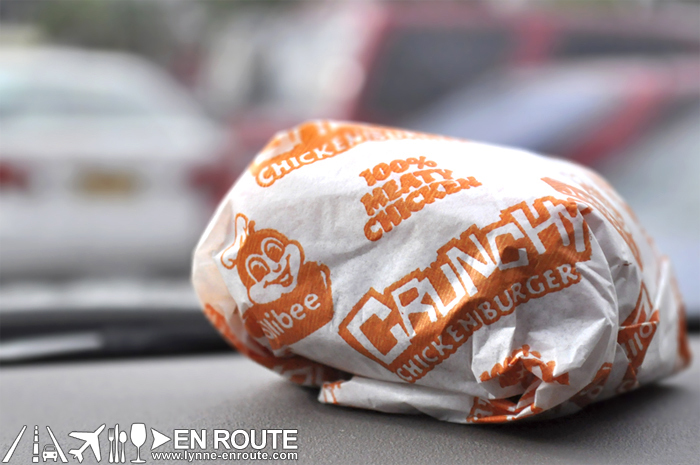 Not to be outdone, the serotonin overdosed Jollibee introduced their Crunchy Chicken Burger. It costs PHP 52.00 with a soft drink, and if you add fries, comes out to a total of PHp 72.00. Hope you had those extra 2 bucks when you pulled over that drive through. Check out the commercial! Both offer something different. The McDonald’s version is actually crispier and spicier, while the Jollibee fare has a meatier taste. It doesn’t seem so crunchy as per the name, but the flavor is quite satisfying. Both have mayonnaise. Haha yeah for beef burgers, McDo hands down 🙂 But for chicken burgers, what’s your preference 🙂 ?